If you are looking for a Cake Smash 1st birthday party idea, here is everything you need to know! So your son or daughter is about to turn 1 and that’s a huge milestone for your as well as them. 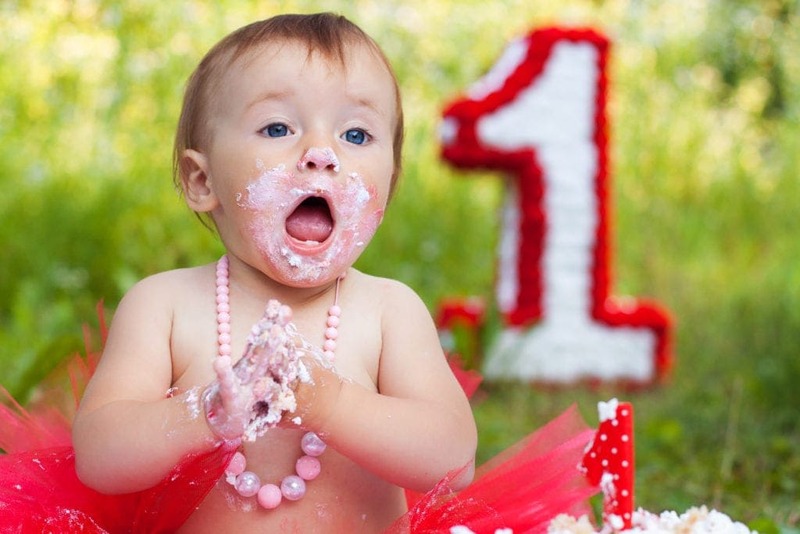 You’re wondering whether you should arrange a cake smash to celebrate their 1st birthday. But where to even start? What do babies even wear to a cake smash, what’s the best kind of cake to smash and where do you find a photographer that does cake smashes? Take a deep breath, because we’ve got you covered! In this article we cover everything you need to know about how to plan a cake smash. 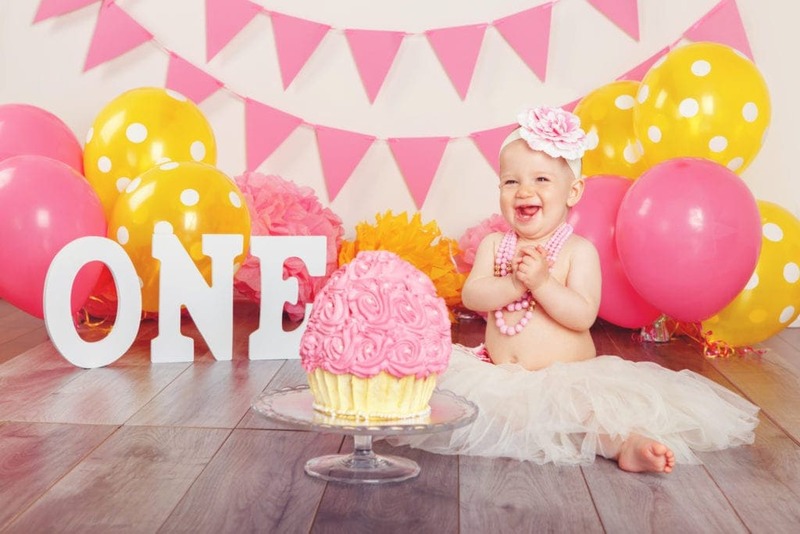 We promise you that by the end of the article you will be well on your way to plan the best cake smash ever for your little one’s first birthday. What even is a cake smash? Well cake smashes are a super fun way of celebrating your bubs first birthday. Sometimes they are done a little before they turn 1 so you can use the images for birthday invitations. Basically, a cake smash is where you take a perfectly good cake, dress your little one up in some super cute clothes and let them do whatever they want with the cake. Whether they just face plant in the cake, pick the whole thing up with their two hands and shove it in their face or just smash cakes – the messier the better! Sounds simple enough right? Well yes and no, these days some parents can spend a small fortune on cake smashes after they purchase the clothes, props, cake and a photographer. Of course, there is also the DIY option to save some dollars. Whatever way you decide, this article will help you with the finer details. What should my child wear for a cake smash? The popular choice for clothing is bottoms only. This way their super soft torsos are on show and basically provides a blank canvas for the cake to be splattered all over. Some parents choose just to put their child in a colourful cloth nappy, whilst other popular choices are trendy shorts for the boys or big bright tutus for the girls. For girls, adding bright colourful accessories is also popular, think oversized bright bows and / or colourful necklaces. For boys a spotty or colourful bow tie looks super cute. Honestly, I think less is best in terms of what they wear, they’re only little for such a short time and you’ll just love looking back at the photographs seeing their squishy little body with cake splattered all over it. What is the best cake for a smash cake? Remember this cake is about to get destroyed and most likely no one’s going to be eating it except for your little munchkin, so flavor is not that important. However, you do want the cake to look great in the images. It’s up to you if you get a professional cake maker to make something elaborate, or even a simple cake you made yourself or purchased from the supermarket will be fine too. The one thing to keep in mind is the messier the cake can get the better. So our tip is to look for a mid-size cake with buttercream frosting that bub can easily smear all over their face and body. Now is not the time for a cake covered in fondant as these are harder for little ones to break through and so don’t have the essential smear factor. Some other tips to ensure great photos are to go with a vanilla sponge over chocolate and avoid red icing as sometimes it can look like blood. Sponge is better than mud as well as it crumbles so much easier. Also ensure the cake is at room temperate for the photo shoot, if it is kept in the fridge it can be a little harder for baby to smash into. 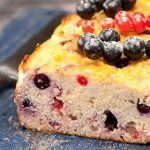 Of course you need to ensure that the cake is safe for baby to eat, so ensure it’s free from any ingredients that baby is allergic or intolerant to. If you fancy making one yourself, we LOVE this Kit Kat Cake Recipe! Yum! Do I need any additional props? Whilst the best photos are the ones with just baby and the cake, some parents like to add a few props to set the scene. 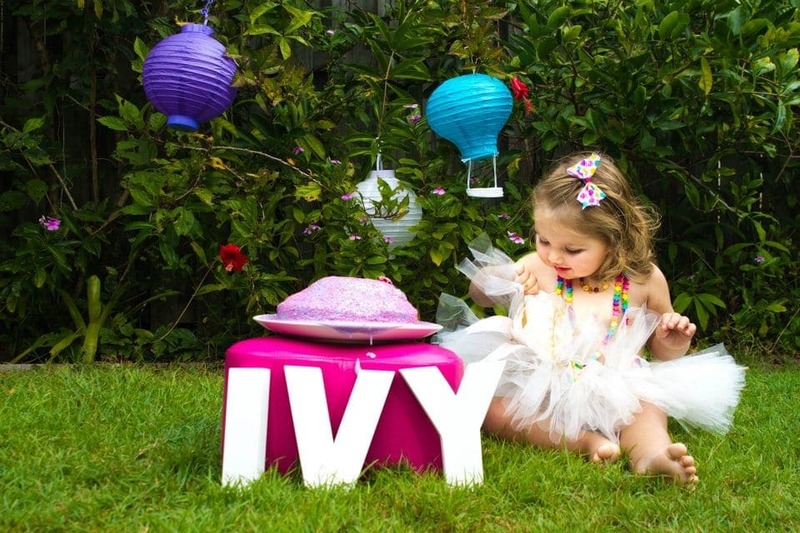 Some popular props for a smash cake photography shoot include balloons, colourful bunting or streamers – stuff you can easily purchase from Spotlight, Big W, online or any reject store that has a good party supply section. If you’re doing the cake smash inside, consider putting down some colourful lino, or even something clear so that you can simply roll it up and discard of the cake explosion easily. You can easily get something like this from Spotlight or look online for some funky coloured ones to add to the scene. Best place to photograph the cake smash? There are two main options as to where to hold the cake smash – inside or outside. For a real clean streamlined look, inside a professional photographer’s studio with a white floor and background work fantastically. This really allows baby and the cake to be the main stars. However you could also replicate something similar in your own home by purchasing some vinyl as mentioned above. The other popular option (and probably best for cleaning up) is outside, in a park or pretty garden. Should we hire a professional smash cake photographer? No doubt you will be fully aware that there are plenty of professional photographers that specialize in cake smashes. If you do decide to go with a professional, ensure its one that someone has been recommended to you and has experience in cake smashes or at least working with babies. Your awesome wedding photographer might not be the right person for this job. You, of course can completely do your own cake smash photo shoot. If you do decide to set up your own cake smash photo shoot, get ready to take many many shots. If you are using a DLSR a tip is to set it to sports mode as this works best for lots of movement. Of course photos of baby with cake all over them. So you got the cutest photos ever of your little munchkin, but now they are an absolute sticky mess! Now what? 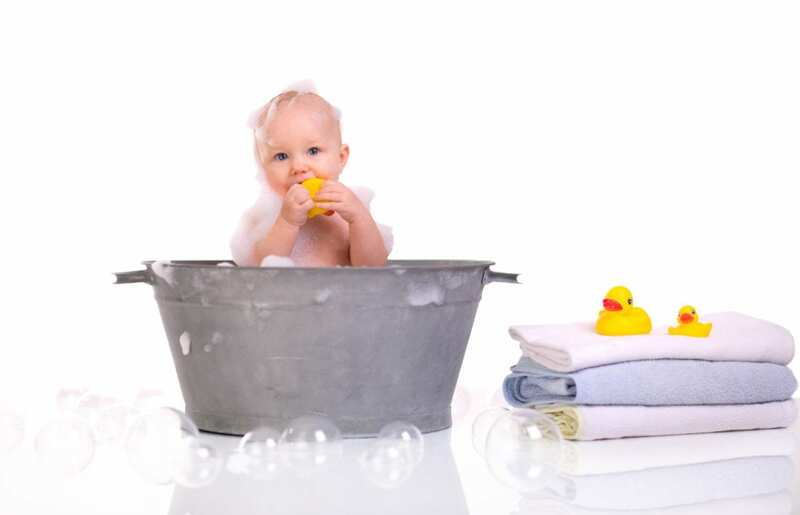 Make sure you bring plenty of baby wipes, towels, plastic bags for the rubbish, broom and dust pan even perhaps a big round tub so you can pop bub in to clean them off before putting them into a change of clothes. In fact a photo at the end of bub in a big tub of bubbles also looks super cute! Also don’t forget a change of clothes for baby and you! No doubt Mum and Dad will end up covered in cake too. Plan the timing of the cake smash around your little one, what time of day are they at their happiest? No point having the photo shoot right when they usually would take a nap. Best to leave other children at home, or if the photo shoot is at home, have someone take them to the park. Having less distraction for bub is best. You may have to encourage shy bubba’s to get into the cake. Dip their fingers in a little frosting and have them lick it off. Lastly – have loads of fun, these photos will be cherished memories for many years to come. 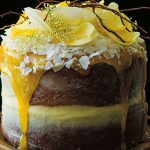 Low Sugar Naked Cakes – Yes, It’s A Thing… A Very Popular Thing! 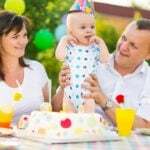 2 Year Old Birthday Party Venues Brisbane | Fun for the whole family!